The American Public Health Association (APHA) presented public health Professor Susana Ramirez with the 2017 Early Career Award at its annual meeting last month. The award is handed out every year to an early career public health professional — someone active in the field who received their doctorate less than 10 years prior — in recognition of their “outstanding and promising contributions to the practice and profession of health education, health promotion, and/or health communication.” Ramirez received her doctorate in communication from the Annenberg School for Communication at the University of Pennsylvania in 2010 and a Master of Public Health from the Harvard School of Public Health in 2011. She joined the UC Merced faculty in 2013, where she's also an affiliate of the Health Sciences Research Institute (HSRI). 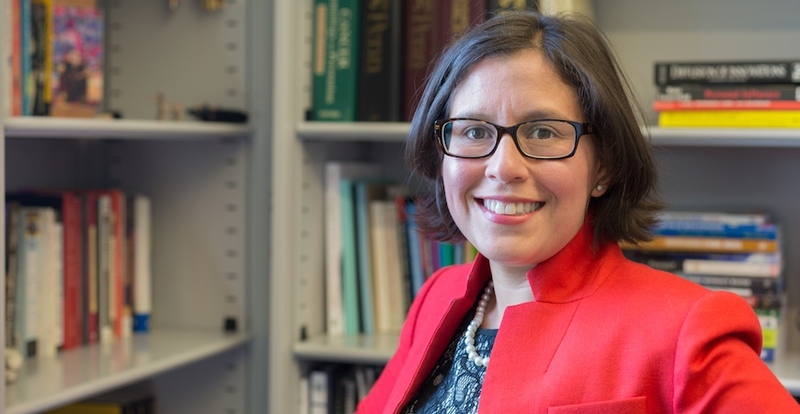 Ramirez was nominated by the Health Communication Working Group, part of the Public Health Education and Health Promotion Section of the APHA, for her contributions to the field of health communication. Ramirez uses a mixed-methods approach to understand how multiple levels of communication influence both individual and population-level health behaviors in the Latino community. Latinos in the U.S. are far more likely to be overweight and suffer from diabetes than non-Latino whites. Since obesity and diabetes are risk factors strongly associated with a host of diseases later in life, Ramirez believes the Latino community’s health issues need to be addressed now in order to avert a long-term crisis. 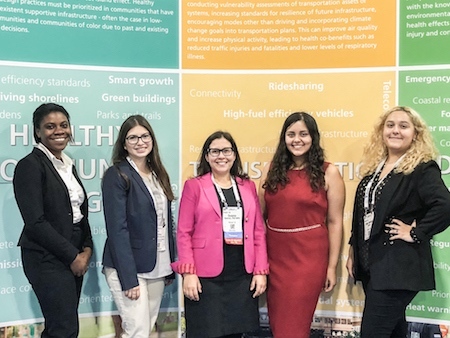 Professor Susana Ramirez (center) with her students at this years annual meeting of the American Public Health Association. “Latinos are, at the moment, almost 18 percent of the U.S. population, but it’s a growing group, and they already account for 25 percent of children under age 18,” Ramirez said. Because the Latino population skews young, Ramirez worries that we have yet to grapple with the full impact of the community’s present-day health problems. This looming epidemic is what Ramirez is hoping to prevent. She’s starting locally, with a focus on Merced’s health information environment. “It turns out there’s very little health information available in Merced. Even less so for Spanish speaking populations,” Ramirez said. Ramirez wants to change this. Recognizing that communication interventions can produce behavioral changes that improve health outcomes, Ramirez is working on new ways to disseminate information to target those behaviors that contribute to adverse health outcomes in the Latino population.